How fascinating. It wasn't until 1910. Yet we feel as if fingerprint evidence has been around for much longer than that. But The Smithsonian tells us the way it really happened. The unknown assailant didn’t make it far. 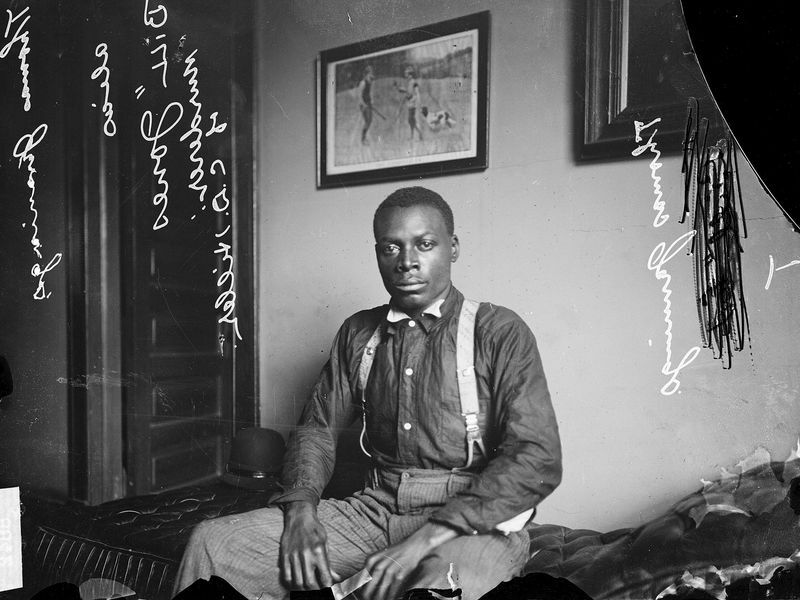 Thomas Jennings – an African-American man who had been paroled six weeks earlier - was stopped a half-mile away wearing a torn and bloodied coat and carrying a revolver. But it was what he left behind that would be the focal point of his trial—a fingerprint from a freshly painted railing that he used to hoist himself through a window at the Hiller house. Police photographed and cut off the railing itself, claiming it would prove the identity of the burglar. In the eyes of the court, they were right; Hiller’s murder would lead to the first conviction using fingerprint evidence in a criminal trial in the United States. At times controversial, this method of solving cases endures more than a century later. Not only has fingerprinting had staying power in the legal system, the underlying method is fundamentally the same as when it was first introduced to American police departments. Prints are still evaluated based on the same descriptions of arches, loops and whorls written by Sir Francis Galton in the late 19th century. Further, the basic technique of collecting and comparing remains remarkably similar to what was applied to that rudimentary set of prints discovered at the Hiller home. Jennings’ defense attorneys raised questions about this new—and little understood—technique, as well as whether such evidence could even be legally introduced in court (the first time it was used in Britain, they claimed, a special law was needed to make such evidence legal). The defense team even solicited prints from the public in an effort to find a match and disprove the theory that fingerprints were never repeated. A courtroom demonstration, however, backfired badly: Defense attorney W.G Anderson’s print was clearly visible after he challenged experts to lift the impression from a piece of paper that he had touched. It’s unclear the degree to which Jennings’s race played a part in his trial. News reports at the time didn’t sensationalize race in their coverage, or even mention Hiller’s race. Yet it’s not hard to envision that a jury, presented with an unfamiliar technique, would have been more skeptical with a white defendant. As journalist Ava Kofman recently outlined in the Public Domain Review, Galton’s pursuit of fingerprint science meshed well with colonialist ideology of the time. “Fingerprints were originally introduced for Europeans to distinguish between the otherwise indistinguishable mass of extra-European peoples, who themselves produced “indecipherable” fingerprints,” she wrote. Later in his career, according to Kofman, Galton would later engage in quantifying racial differences, inventing “scientific,” numerical measurements to categorize humans by race. Nonetheless the system Galton outlined was to identify unique characteristics proved effective and caught on quickly. Police in the United States were just beginning to emulate their European colleagues and started to gather prints for the purpose of identification in the early 20th century. During the 1904 World’s Fair in St. Louis, Scotland Yard sent representatives to host an exhibit to demonstrate the technique, which was growing in popularity in British courts. Even Mark Twain was caught up in the speculation of how they could be used to apprehend criminals, placing “the assassin’s natal autograph” – which is to say the “blood-stained finger-prints” found on a knife- at the center of the dramatic courtroom finale in his novel Puddn’head Wilson, published years before the Jennings case. After Jennings’ conviction, however, lawyers mounted a challenge to the notion that such a newfangled and little-understood technique could be admitted in court. After more than a year in the appeals process, on December 21, 1911, the Illinois Supreme Court upheld the conviction in the People v. Jennings, affirming his sentence would be carried out soon after. 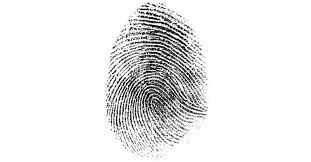 They cited prior cases in Britain and published studies on the subject to lend credibility to fingerprinting. Several witnesses in the Jennings trial, it pointed out, had been trained by the venerable Scotland Yard. “This method of identification is in such general and common use that the courts cannot refuse to take judicial cognizance of it,” the ruling stated. People v. Jennings further specified that fingerprint evidence was something that the average juror would have to rely on interpretation to understand. “Expert testimony is admissible when the subject matter of the inquiry is of such a character that only persons of skill and experience are capable of forming a correct judgment as to any facts connected therewith.” The inclusion of this statement was crucial in legal terms: some level of human judgment and interpretation was a given, built into the courtroom process when fingerprint evidence was presented to a jury. The degree of subjectivity that represents and what potential room for error - however small – is acceptable is still actively debated more than a century later. It is this gray area that defense attorneys seize on in thorny legal cases. Following a 1993 Supreme Court ruling in Daubert vs. Merrell Dow Pharmaceuticals Inc., judges were required to apply what is known as the Daubert standard to determine if a witness’ testimony can be considered scientific. This is based on a list of factors, including how the technique itself has been tested, error rates and what regulations govern its usage. These standards were more stringent than what had previously been required, putting the onus on judges to determine what could be considered by a jury as scientific evidence.